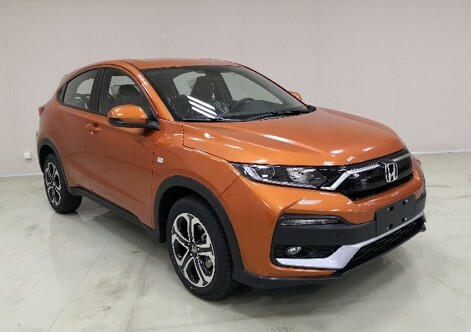 The Honda XR-V, a China-only reskinned Honda Vezel (Honda HR-V), is about to receive a facelift. Here are the first images showing the exterior of the updated model. 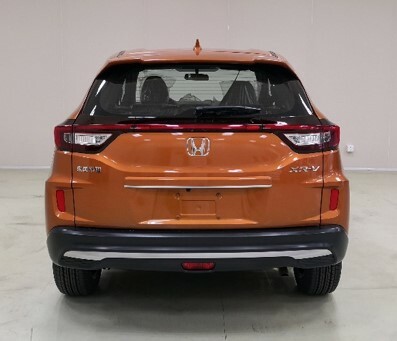 The 2019 Honda XR-V features a new upper grille and a new front bumper, and some inspiration from fifth generation Honda CR-V in the updated front fascia is clearly evident. The 2019 Honda XR-V features a new upper grille and a new front bumper, and some inspiration from fifth generation Honda CR-V in the updated front fascia is clearly evident. The sides remain unchanged, and this applies to even the alloy wheels. At the rear, the bumper gets a new decor element, but apart from that, things are no different from before. The old Honda XR-V is available with the L15B5 1.5-litre petrol engine that produces 96 kW (130.52 PS) and 155 Nm of torque and the R 18ZA 1.8-litre petrol engine that develops 100 kW (135.96 PS) and 169 Nm of torque. Honda will offer the new XR-V with the L15B5 engine and a new L15BS 1.5-litre petrol engine. The latter, a turbocharged unit, offers a maximum power of 130 kW (176.76 PS). With this engine, the sub-compact SUV can attain a top speed of 200 km/h. Introduced in September 2014, less than a year after the Honda Vezel, the Honda XR-V is one of many twin models sold in China. While the Guangqi Honda joint venture sells the premium Honda Vezel, the Dongfeng Honda sells the cheaper Honda XR-V. The former’s prices start at 1,28,800 yuan (INR 13,15,965.82), while the latter costs 1,27,800 yuan (INR 13,05,748.70) onwards. Dongfeng-Honda will introduce a 1.5-litre turbocharged petrol engine for the XR-V with the mid-cycle update. Honda is considering a Hyundai Creta rival for India, but it’s neither the Honda Vezel (Honda HR-V) nor the Honda XR-V.